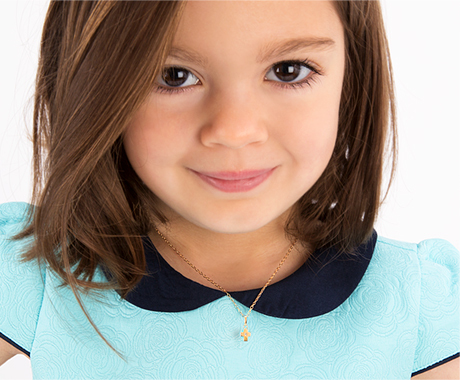 Fine jewelry specifically designed for baby and children. Find Tiny Blessings exclusive bracelets, earrings, rings, and necklaces in 100% solid 14K gold or sterling silver by jewelry designer R. Vicenzi. 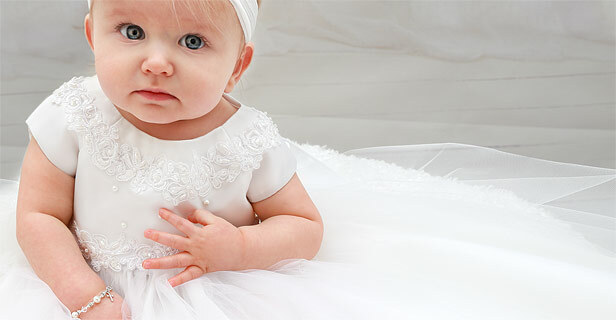 Whether you need a heart-felt gift for a Baptism or Christening, you can count on Tiny Blessings to deliver a gorgeous gift that will be a keepsake throughout their life. Save up to 40% off on fine jewelry for an Easter that she'll never forget! 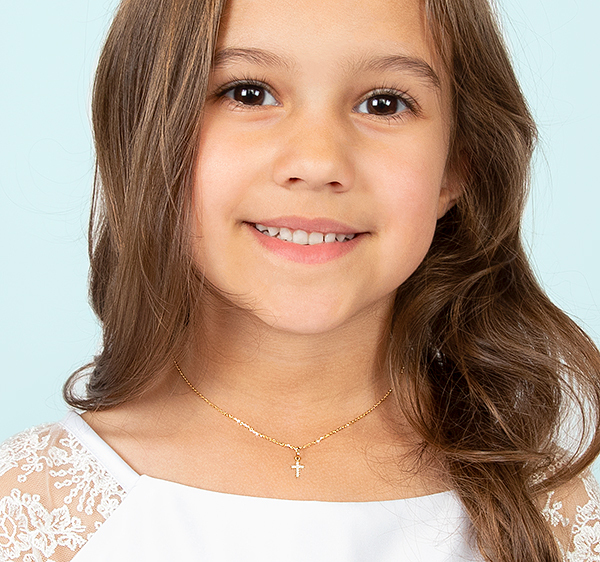 Sentimental and Religious Jewelry on Sale for her First Communion. Make her big day even more special!